Polystyrene Pillow, choose your size. The Pillow in polystyrene is the perfect decoration for all decoupage lovers and do-it-yourself decorations. It is also widely used by cake design enthusiasts to create fantastic monumental cakes. 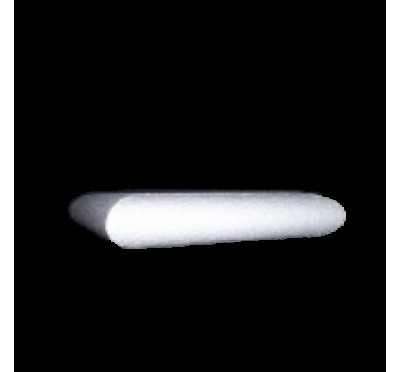 Our company offers a large choice of polystyrene Pillow measures. Below you can select the measure that best meets your needs. The Pillow in polystyrene is a shape to decorate both in the cake design, i.e. the American art of decorating monumental cakes, and in the decoupage, to make a DIY object to be displayed in the window or to give to friends and relatives. The polystyrene Pillow for cake design is one of the most requested decorations. In fact, this decoration, which recalls the features of a pillow, is the favourite decoration of all those who want celebrate a party with an original cake decoration. The polystyrene Pillow for cake design is perfect for decorating theme cakes. In recent times, pastry chefs like to dabble in the traditional American art of cake design. The polystyrene Pillow for cake design can be covered with sugar paste or fondant paste and can be placed on cakes. This polystyrene Pillow for cake design is impermeable to water, therefore it is bacteria-free and absolutely hygienic, guaranteed for food use. So the polystyrene Pillow for cake design can be laid on a flat cake as an original decoration for a party. The decoration of the Pillow in polystyrene for cake design can also be an ornament for dummy cakes, that are fake cakes. These cakes, used as display cases for cake design shops and pastry shops, are polystyrene risers covered and decorated in a creative way thanks to the use of polystyrene shapes, such as the pillow. The polystyrene Pillow for decoration can be used in different ways. As we have already seen it can be a cake decoration, but also has other uses. The Pillow in polystyrene for decoration can be used as a gift customized for all occasions. It often happens that for parties you have the desire to make something with your own hands. To dabble in DIY as well as being stimulating, even very productive. A polystyrene Pillow for decoration is perfect as a gift for friends and relatives. A simple thought, but made with the heart that will be greatly appreciated. The polystyrene of which the Pillow for decoration is made is a guarantee of performance and durability, as it is an extremely resistant, lightweight and economical material. Moreover, thanks to its characteristic of being malleable it can be decorated in the most varied ways. In fact, it is possible to cover the entire surface of the Pillow in polystyrene with glitter or rhinestones, or wrap it in paper for decoupage, with the help of vinyl glue or hot glue. A thousand ways and a lots of tutorials can inspire you and help you make a masterpiece of DIY. Give inspiration to your imagination with the polystyrene Pillow! 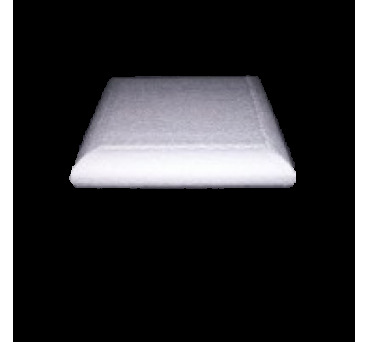 The polystyrene Pillow in variety of sizes is of excellent quality. Our company with years of experience in processing and manufacturing of polystyrene can boast the high quality of its products. Our catalogue of polystyrene Pillow in variety of sizes offers different sizes to better adapt them to your needs. You can choose heights of 2 inches and 4 inches and widths of 4x4 inches, 6x6 inches, 8x8 inches, 10x10 inches, 12x12 inches, 14x14 inches and 16x16 inches.